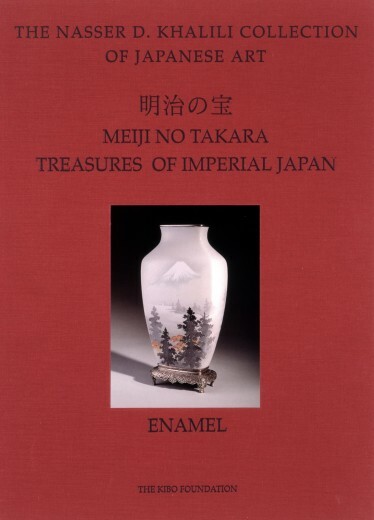 Japanese cloisonné enamels were a technical triumph of the Meiji (1868–1912) and Taisho (1912–26) periods, and the 107 examples reproduced in this volume offer an unrivalled panorama of achievement centred around the work of three artists: Namikawa Yasuyuki, Namikawa Sosuke, and Ando Jubei. The Collection includes a large number of works by each of them, making it possible to establish the first reliable chronology for the development of enamelling in Japan. 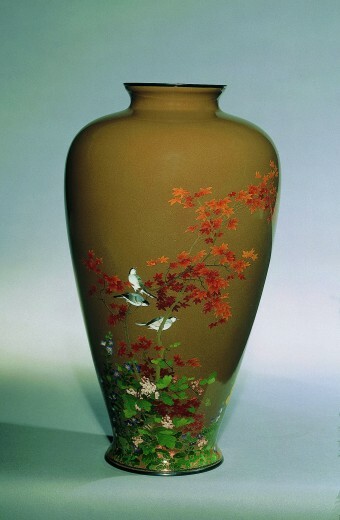 An introductory essay traces the history of the craft from the first experiments of Kaji Tsunekichi in the 1840s and 1850s and identifies three strands of stylistic evolution that took place from the 1860s; the conservative, the pictorial and the exotic. 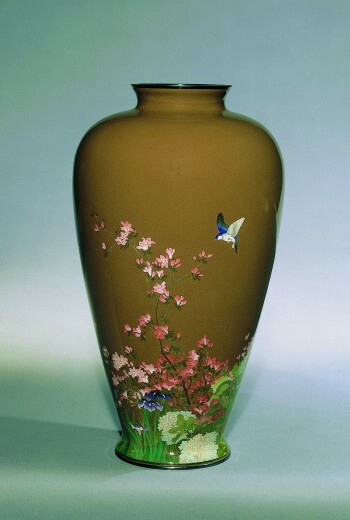 An essay by the great British scholar Jack Hillier traces the relationship between Sosuke and the painter Watanabe Seitei. This volume, combining magnificent colour reproduction with pioneering scholarship, will serve as the essential guide to a little-known facet of Japan’s artistic achievement.